Fancy starting your weekend with a good laugh, some sunshine and fresh sea air? Last Saturday, a group of Sydneysiders came along to do just that. They joined me for laughter yoga in the Ocean Room of The Bondi Pavilion and the new Bondi Beach Laughter Club was launched! We began the session by talking about the benefits of laughter for health and happiness and how laughter yoga can effectively help people to achieve these benefits. Laughter reduces stress levels and releases endorphins, our natural ‘feel good’ hormones. When we rely only on natural laughter, we may not get enough of it. 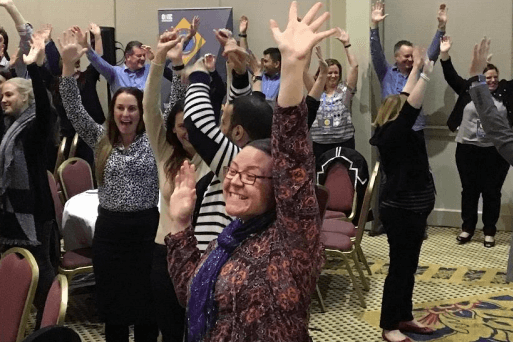 Whilst any little giggle or chuckle will have some benefit, to achieve more of the benefits and create real biochemical and physiological changes in the body, we need to laugh for 10-15 minutes and the laughter needs to come from the diaphragm. This is easy to achieve through laughter yoga. Laughter is a powerful tool and is far too important to leave to chance! 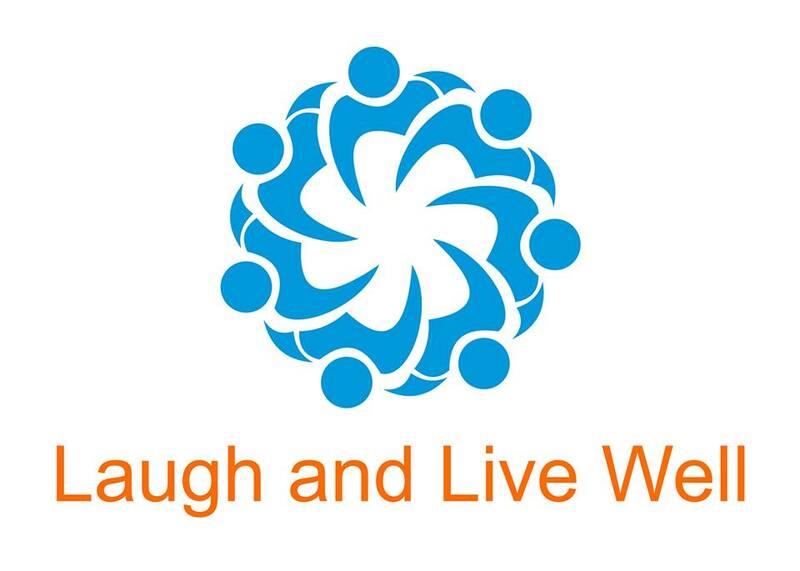 In laughter yoga, we choose to laugh because we can and it’s good for our holistic health. We started with some warm-up exercises to prepare our bodies for laughter. We moved into clapping exercises, which stimulate acupressure points in the hands and increase energy levels. We did some deep breathing exercises, to increase the supply of oxygen to the brain and body. Then without further ado, we started our laughter workout. 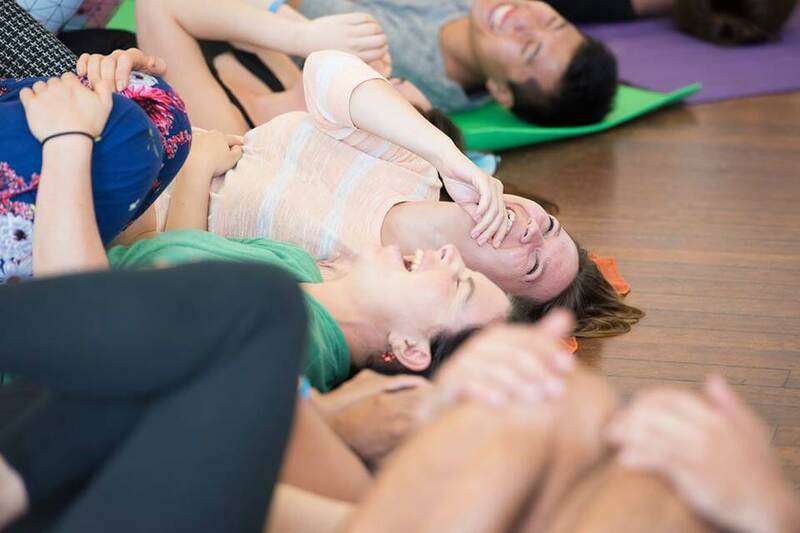 The laughter workout alternated between laughter exercises, rhythmic clapping and deep breathing techniques from yoga. Although the laughter was initially simulated, it didn’t take long for it to quickly become real, contagious laughter. 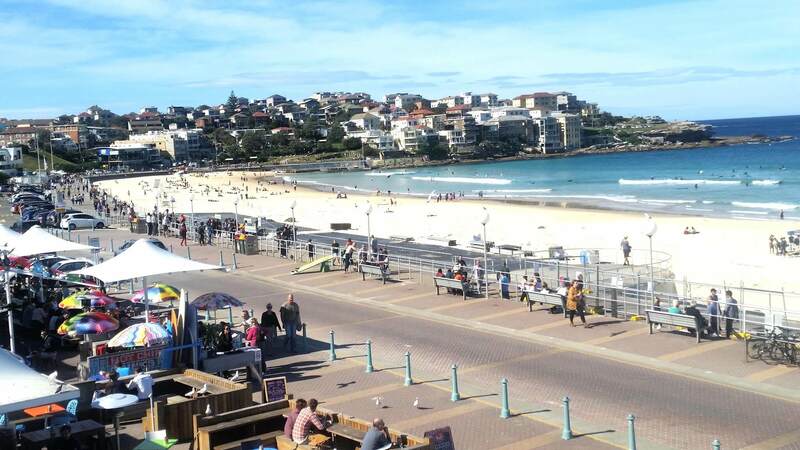 To celebrate the launch of the Bondi Beach Laughter Club, we mingled over some Breakfast Sangria and snacks, on the balcony of The Pavilion, overlooking Bondi Beach. Amongst this wonderful group of Bondi Beach Laughter Clubbers were two former Bondi Laughter Club leaders, Noni and Julia. It was a real honour to launch the new Bondi Beach Laughter Club with their wonderful support. We were also joined by Russy Ross, the founder of The Social Collective. In total, five group members were familiar with laughter yoga and eleven group members were new to the experience. The Bondi Beach Laughter Club will meet weekly, each Saturday from 10-11am, to laugh for health and happiness. You don’t need any yoga experience to attend. It is a safe space, where you will be guided by a professional laughter yoga teacher, who will help you to connect with your inner joy. Why not join us for a great start to your weekend?